Cloverpop research sets the benchmarks to beat. Take our quick quiz to see how your organization stacks up. 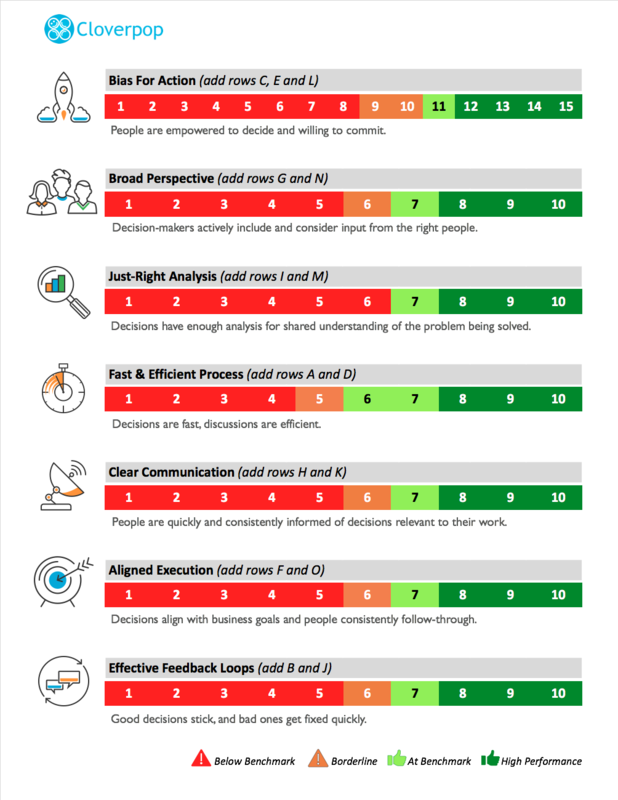 Our research shows that innovative companies use 7 specific decision practices to drive effective decision making. Now you can use a quick quiz to see how your business compares to these benchmarks. A shareable link to an interactive online quiz. A fun printable quiz (pdf) to take yourself or use at your next team meeting. Is your company under pressure to innovate and compete? These are the benchmarks to beat.